Most people would prefer not to add to this by dealing with the hassle that goes along with filing a claim against the negligent party, which is why we want to help you with this aspect of things. The San Mateo motorcycle accident lawyers of the Nagelberg Bernard Law Group can help make sure that you gain the compensation you deserve, so that an added financial pressure isn’t tacked on to your already considerable challenges. As stated above, you’re going through a lot right now, and you probably don’t want to have to shop around for a qualified attorney. But you’ve come to the right place, as our results speak for themselves. 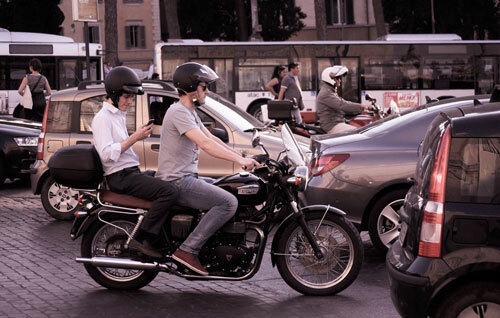 Our 98.4% success record includes numerous motorcycle accident claims, including a $5.5 million settlement for an individual who faced serious injuries due to a hazard being left in the roadway. This is just one of many success stories accumulated over 30 years in the business. The compensation that you're entitled to will vary depending on the nature of your particular case, but rest assured that a few things tend to remain static in every claim. Medical bills, motorcycle repair costs, lost wages, emotional trauma, and other expenses could all be reimbursed by the negligent party with a detailed record and the skills of an expert legal team by your side.